Tensions turned violent as a group of Muslims sought to demolish a Christian church in Pakistan. Babu Sarfraz, Bashir Masih, along with several other men from the church met with our affiliate in Pakistan, the Organization for Legal Aid (OLA), to discuss the incident as well as the reason for the conflict. Sarfraz informed the OLA that St. Matthew’s Catholic Church had been constructed by local villagers and on land that the church owned, but that the ownership of some of the land is disputed. On May 21, 2018, this dispute led Razzak Ahmed, Mushtaq, Shahzad Hussain, along with roughly ten other Muslim men to bring a crane in order to destroy the church. The Christians present managed to call the authorities and prevent the destruction of the church until police arrived. The Christians then went to the Civil Court in Kasur and the court found that the property would remain in the possession of the Christians until a hearing could be held. While the next hearing was set for September 19, 2018, the aforementioned Muslims again attempted to tear the church down. Armed with clubs and other weapons, a group of fifteen to twenty Muslims once again brought a crane, but were stopped by the Christians who told them that the court had ordered that the status quo be maintained and, as a result, prevented the Muslims from taking possession of the land. 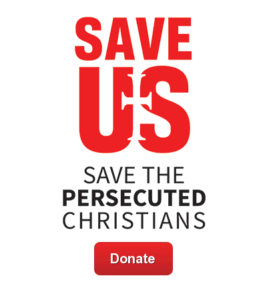 Ignoring the Christians, the Muslims called for more people to join them until there were almost sixty Muslims who began to beat the Christians. Two of the Christians attempted to call emergency services, but received no answer from the police. Meanwhile, as the Christians were beaten, several were injured with one victim having his arm broken by a stick, another man had his teeth and lips injured by a metal wrench, and one woman was even hit in the head with a brick. The conflict also resulted in one Muslim man, Muhammad Mukhtar, being hit with a brick and suffering a broken nose.